Finger jointed materials are manufactured by gluing together pieces of timber that have been notched along a comb-toothed pattern. 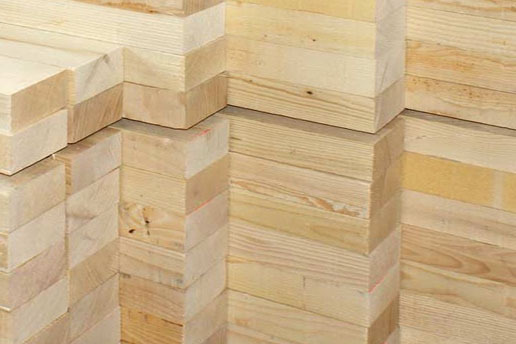 As a result of this process the dimensional deformations are minimized in comparison to ordinary sawn timber. – especially in conditions where there exist wide variations in interior and ambient temperatures. Primary lengths: from 1750 mm to 6000 mm (spaced around 30 cm apart). All materials are four-sided and planed. Who might be interested in finger jointed materials? Where are finger jointed materials used? What are the advantages of using finger jointed materials?